Belarus, a landlocked nation in Eastern Europe bordering Russia, Latvia, Lithuania, Poland and Ukraine, has caught rising interest among Hong Kong’s business community in recent years under the Belt and Road Initiative (BRI). Going hand in hand with its role as a transport gateway linking China with the EU and CIS countries, it is seen as an increasingly open investment destination for manufacturing and high-tech developments. Strategically located on the new Eurasia land bridge, eight rail container routes on the China-Western Europe trade pass through Belarus, enabling cargo to move much faster between China and Germany via Kazakhstan, Russia, Belarus and Poland, taking about 17 days. In comparison, sea freight takes around three weeks longer, although the freight cost of travelling by rail is about 60-70% higher. As shippers have become more receptive to the expanding rail container routes, more than 3,000 Sino-European trains used Belarus’s rail network in 2017. Belarus is a bridge between Europe (CIS and EU) and Asia. Two pan-European Corridors – II (Berlin-Moscow) and IX (Helsinki-Greece) – pass through Belarus, strengthening its position as a main trade and transport thoroughfare in the region. Standing at the border between Belarus and Poland is the Kozlovichi-Kukuryki checkpoint – one of the busiest cargo truck checkpoints between the Commonwealth of Independent States (CIS) and the European Union (EU). The Kozlovichi-Kukuryki checkpoint at the Belarusian-Polish border is one of the busiest cargo checkpoints between CIS and the EU. In light of the recent enlargement of Poland’s Pomeranian Special Economic Zone (PSEZ) with an aim of integrating with the New Silk Road Route connecting China and West Europe near the Polish-Belarusian border and the ongoing talks with Germany’s Duisburg Inland Port about the Duisburg-Brest-Minsk rail link, cross-border traffic between Poland and Belarus is expected to soar in coming years. To cope with the expected traffic growth, the country is continuing to upgrade or convert cities such as Brest and Grodno into large trans-shipment centres and logistics hubs. While the details of the project have not yet been disclosed, it has been reported that the China Gansu International Corporation for Economic and Technical Co-operation (CGICOP) is about to start construction of its own transport and logistics complex in the Grodno region, close to the cargo-and-passenger border crossing point between Belarus and Poland. Currently, more than 100mn tons of goods transit through Belarus every year, supporting a large transport sector that accounts for 6% of GDP. The present volume of trade, as well as the country’s ongoing investment in infrastructure for transportation and manufacturing industry, continues to make Belarus prosper as an important node on the Silk Road Economic Belt. Having reaped the early profits from the increasing level of Asia-Europe rail traffic, the country’s state-owned railway company, Belarusian Railways, is anticipating an uptrend in Eurasian cargo flows. 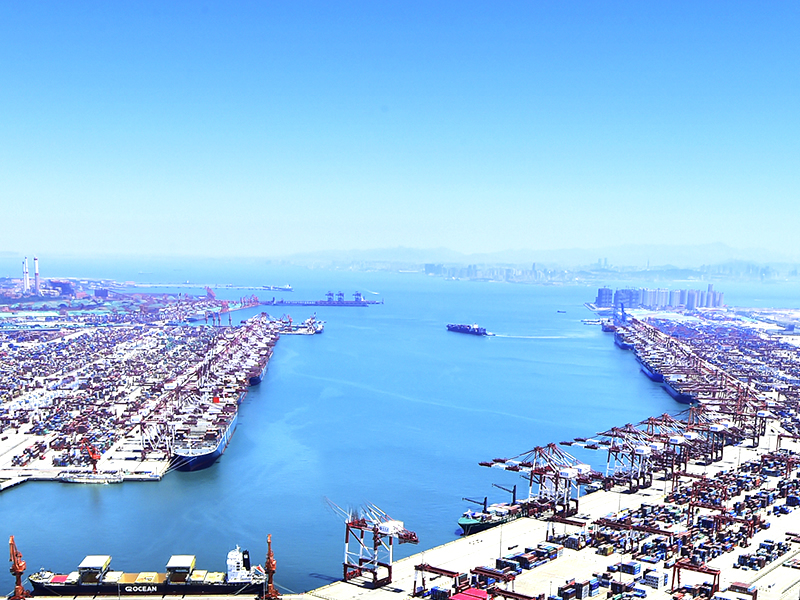 For 2018, it expects container shipping on the China-EU-China route to grow by a further 30% to top 300,000 containers, after a 74% year-on-year growth to 245,400 containers last year. As new logistics and trans-shipment facilities are being built to handle the switches between broad-gauge (1,520mm) and standard-gauge (1,435mm) rail for trains carrying Chinese/Asian cargo to the EU market, or consolidate shipments before sorting and sending to final customers or warehouses in Europe, industry agglomeration featuring manufacturing relocation is also in the offing. Under Belarus’s membership of the Eurasian Economic Union (EAEU or EEU), products made in Belarus can be treated, subject to the country of origin rules, as Belarusian-made and able to be exported to the other EAEU markets of Russia, Kazakhstan, Armenia and Kyrgyzstan, free of tariffs. This, coupled to the country’s geographical proximity to most of the markets in Europe, as well as well-connected road and rail transportation networks, helps to make Belarus an attractive destination for foreign manufacturing companies. Belarus is an increasingly popular gateway for foreign manufacturers looking to make inroads into the 180 million-strong EEU/EAEU market. To oil the wheels further, the Belarusian government has continued to liberalise its economy and provide generous investment incentives. As a result, it has welcomed increasing numbers of foreign investors in a number of priority sectors that feature export-oriented, import-substituting and high-tech industries, such as information and communication technologies (ICT), creation and development of logistics systems, home appliances and electronics and the production of electrical equipment. As an added incentive for new-to-the-market companies, the Belarusian government has established six free economic zones (FEZs) across the country’s six major regions – Brest, Gomel, Grodno, Minsk, Mogilev and Vitebsk. All of these offer would-be investors a range of incentives, including preferential arrangements on corporate income, real estate and land taxes. Chinese investment, which grew more than 11-fold between 2011 (US$19mn) and 2017 (US$232mn), is one of the factors spearheading the manufacturing investment in Belarus. Most notable examples of Chinese investment in Belarus include Midea Group’s joint venture with Belarus’ Horizont Holding Company, which has been producing microwave ovens and water heaters in the Free Economic Zone Minsk (FEZ Minsk) on the outskirts of Minsk since 2007, and the China-Belarus Industrial Park, otherwise known as Great Stone Industrial Park, which was co-founded by Hong Kong-based state enterprise China Merchants Group (CMG) in 2012 and is expected to operate until 2062. 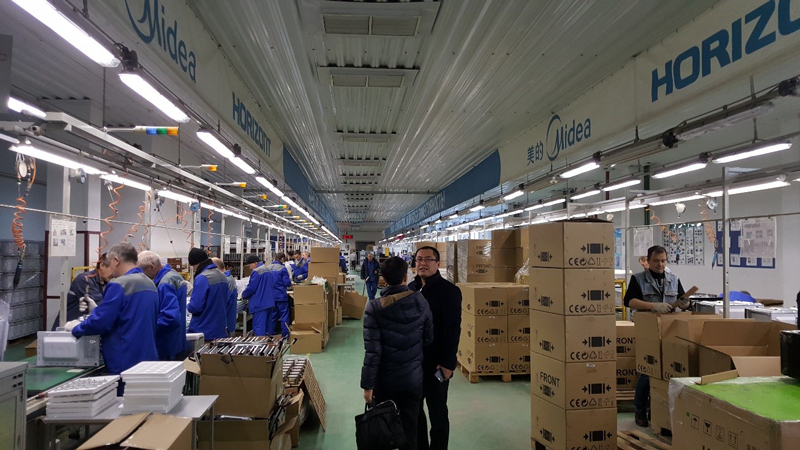 Midea-Horizont production lines in FEZ Minsk. Thanks to its unrivalled perks, such as exemptions on corporate income tax, value-added tax (VAT), VAT on imports, real estate tax, land tax and tax on dividends, Great Stone has had great success in attracting Chinese companies. 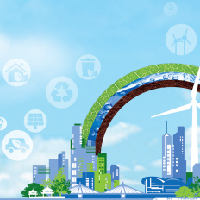 Current residents include ZTE, Huawei, Zoomlion, YTO Group Corporation, Xinzhu Corporation, Lotusland Renewable Energy and CGICOP. Other deals in the pipeline include companies working in the fields of composite materials, film coating technologies for cars, and joint design. 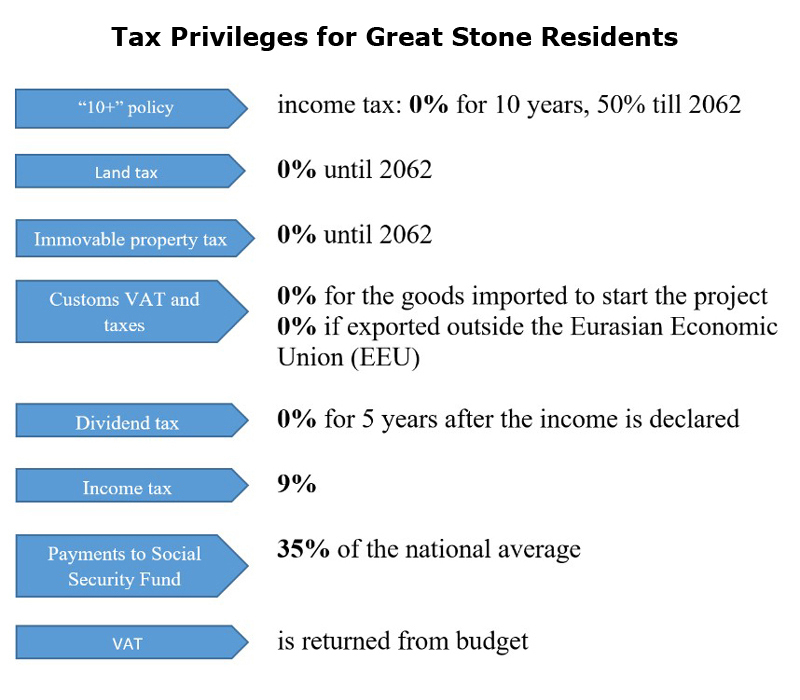 According to Belarus President Decree No.166, Great Stone enjoys the largest tax exemption in the country. With Phase I of the park’s development now completed, the Great Stone Industrial Park expects to see the number of resident companies grow from the current 27 to at least 35 by the end of 2018, when Phase II is due to finish, and to 60-70 by 2020 under Phase III of the development. 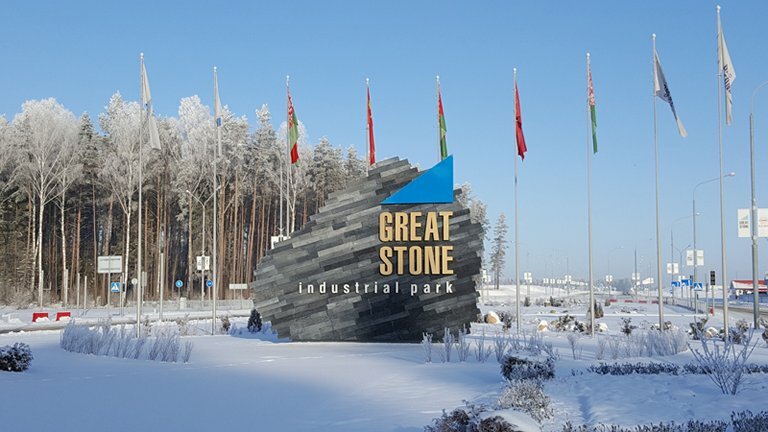 To facilitate Sino-European cargo flows, Great Stone has been holding talks with Germany’s Duisburg Inland Port about linking up to the Duisburg-Brest-Minsk rail service, and there are plans for a direct connection between the park and Minsk International Airport, 5km away. 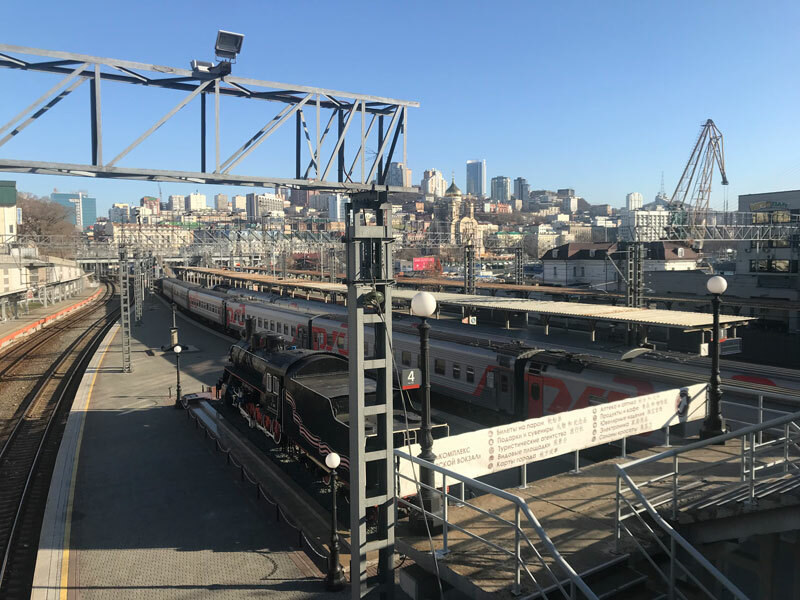 This should help the park further develop multimodal logistics involving air-rail and/or air-road freight. China’s largest offshore industrial park offering unrivalled perks till 2062. Also in sync with the country’s development vision is the advancement of the high-tech industries. Few people know that Belarus has had a strong industrial base since the Soviet era, with a world class reputation for the quality of its machinery manufacturing, chemical engineering, petrochemicals, light industry (e.g. textiles, knitting, sewing, footwear, and household electrical appliances) and food processing. Belarusian companies that have achieved international success include Polimaster, which makes radiation detection equipment and is said to have 20% of the US market in radiation measurement devices; Belshina, producer of some of the largest tyres in the world; and BelAZ, manufacturer of the world’s most powerful dump trucks with a capacity of 496 tons. The country is also a leading manufacturer of potash fertiliser, with an estimated one-sixth of the global potassium market. 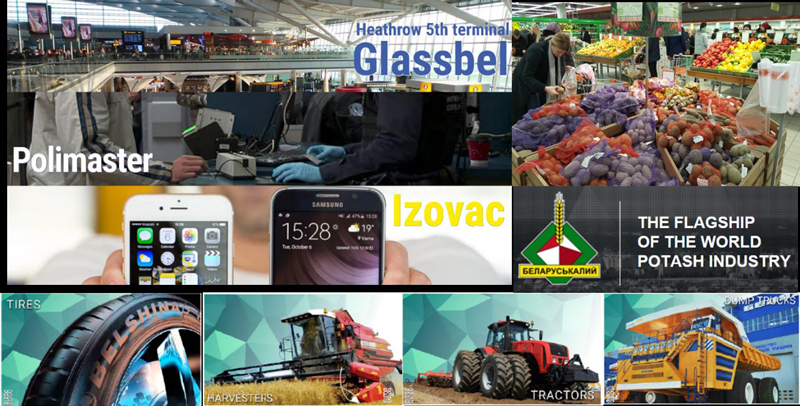 Examples of Belarus’s traditional industrial success. To counter its lack of natural resources, the country has built on this robust industrial foundation by establishing a reputation for technological innovation and nurturing the rapid growth of its IT sector. Between 2006 and 2016, Belarus’s export of IT services grew at a compound annual growth rate (CAGR) of 35% from US$48mn to US$957mn. The sector’s share of Belarusian exports grew from 2% to 14% over that period. 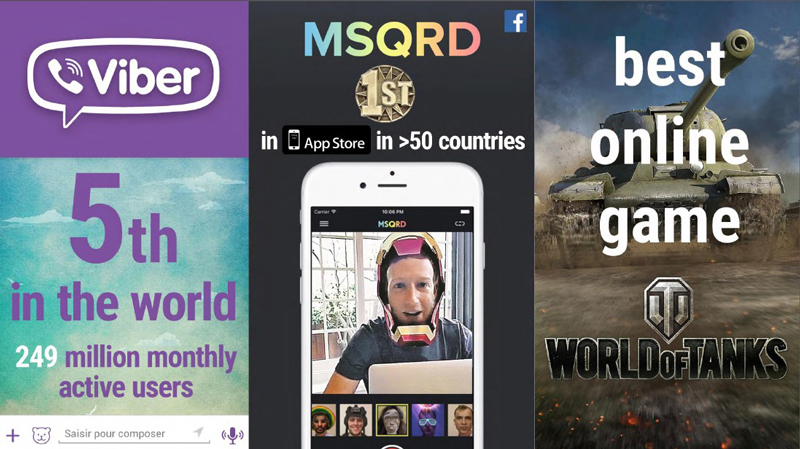 Successful Belarusian IT products include Viber (one of the world’s most popular cross-platform instant messaging and VoIP applications, with much of the development outsourced to Belarus), Viber, face-swapping application, MSQRD and multiplayer online game, World of Tanks. Examples of Belarus’s early IT success. Many of Belarus’s more pioneering tech companies are keen to tap into the opportunities offered by China and other countries across Asia, and see Hong Kong businesses as their natural partners in any such move. Furthermore, as an acknowledged IP hub, Hong Kong is uniquely positioned to help Belarusian tech companies fulfil their technology transfer aspirations and successfully commercialise their IP properties in the wider Asian market. 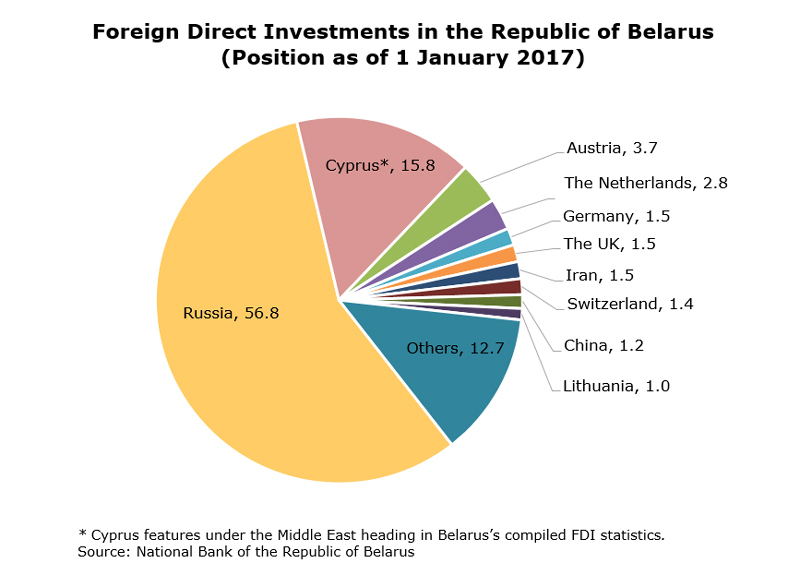 To oil the wheels of economic upgrade and diversification, Belarus has been understandably keen to attract overseas investment in recent years, while also being open to privatising a number of its state-owned industries. It has launched a series of economic reforms, including the Presidential Decree No. 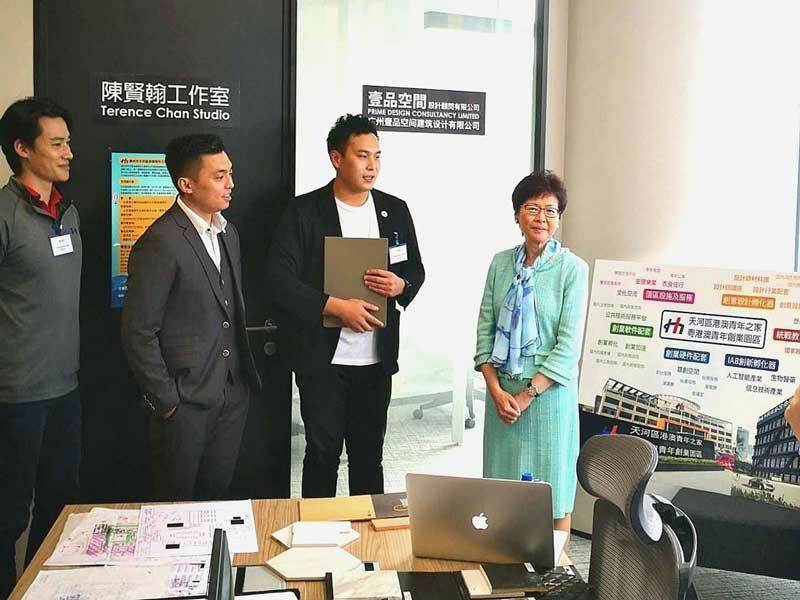 8 “On the Development of Digital Economy” which allows cryptocurrency-related companies to operate and create crypto platform operators and cryptocurrency exchange operators in the country’s dedicated High-Tech Park (HTP). Initiatives like these are designed to upgrade and diversify the Belarusian economy from its Soviet-era reliance on heavy machine-based industry and agriculture. The idea is to encourage the engagement with the high-tech sector, in particular with blockchain technology, cryptocurrencies and self-driving vehicles. It’s hoped this will make the country much more competitive in the modern digital economy and create the conditions to attract global IT companies to Belarus. Belarus, which has one of the lowest rates of corruption among the ex-Soviet states, has also been increasing its efforts to liberalise the economy and improve its business and investment environment. One recent measure along these lines was a presidential decree issued by Alexander Lukashenko to minimise the state’s interference in commercial operations. This continued liberalisation, coupled with a stable government, is clearly contributing to Belarus’s encouraging recent improvement on the various scoreboards measuring levels of competitiveness and the ease of doing business. 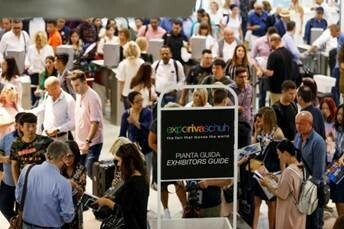 This is likely to continue, with the plan to kick-start a new wave of privatisation, which will see four state-owned/controlled companies – OJSC Kryon (which makes air separation products), OJSC Lakokraska (paint and varnish materials), OJSC 8 Marta (linen, knitwear and hosiery) and OJSC Lenta (home textiles, technical/industrial/medical materials) – being sold off. In a further bid to promote investment opportunities within the country, in February 2017, the Belarusian government granted five-day visa-free travel to citizens of some 80 countries and territories. It is currently considering granting 30-day visa-free entry to Chinese citizens. As a key element in facilitating greater synergy between Hong Kong and Belarus, HKSAR passport holders have been entitled to visit Belarus visa-free for up to 14 days since 13 February 2018, following the formal adoption of a Comprehensive Agreement for the Avoidance of Double Taxation (CDTA) between the two parties on 30 November 2017. Belarus, an active BRI participant, is offering a slew of lucrative business possibilities for Hong Kong and mainland entrepreneurs. Merchandise trade and manufacturing production aside, evolving promises on infrastructure investment are poised to bring Sino-Belarusian co-operation to a new level and give Hong Kong’s professional services providers a new world of opportunities. 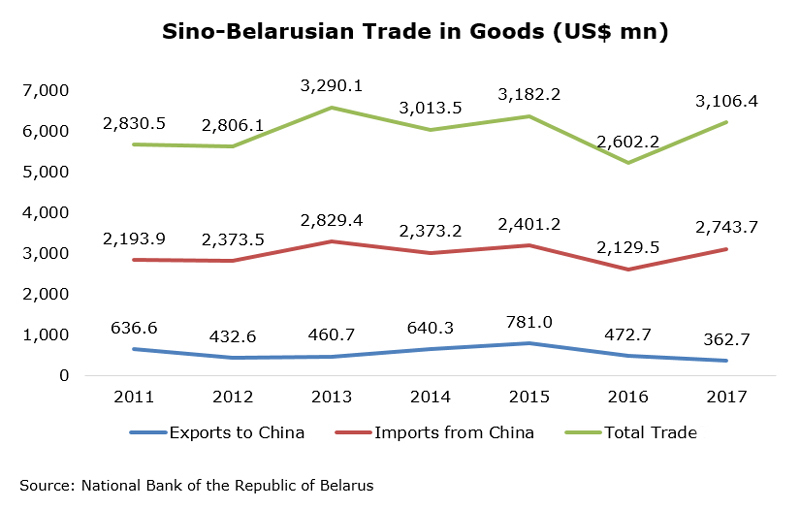 On the trade front, China is Belarus’ third largest trading partner (after Russia and the EU) though it only bought 1.2% of Belarusian exports and supplied 8% of Belarusian imports in 2017. Last year, China was Belarus’s sixth most important export destination (after Russia, the EU, Ukraine, Kazakhstan and Brazil) and third most important import source (after Russia and the EU). With a strong agriculture and livestock sectors, expansion of agricultural trade such as sugar beet, vegetables, potatoes, grains and legumes, rapeseed, and flax fibre, along with meat and dairy industry exports, has always been one of the focal points of the country’s external trade development. To this end, Belarus and China signed a deal in July 2017 and became the first CIS country to export beef and poultry to China. President Xi Jinping has more than once stressed that China regards Belarus as an important co-operation partner in the joint construction of the Belt and Road. 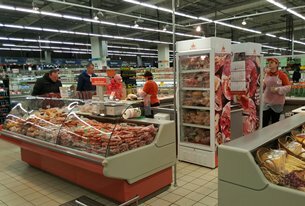 Belarus is the first CIS country approved to export meat to the mainland Chinese market. Following the deal signed between the two countries, the first shipment of frozen beef from Belarus arrived in the Chinese market in February 2018. A separate investment agreement concluded at the same time will soon see a Chinese food group building a livestock farm for 50,000 head of cattle in the Vitebsk Oblast, with a total investment of around US$400m. While Belarus has a flourishing food and food processing industry, not every Belarusian product has received the go ahead to be sold in the Chinese market. 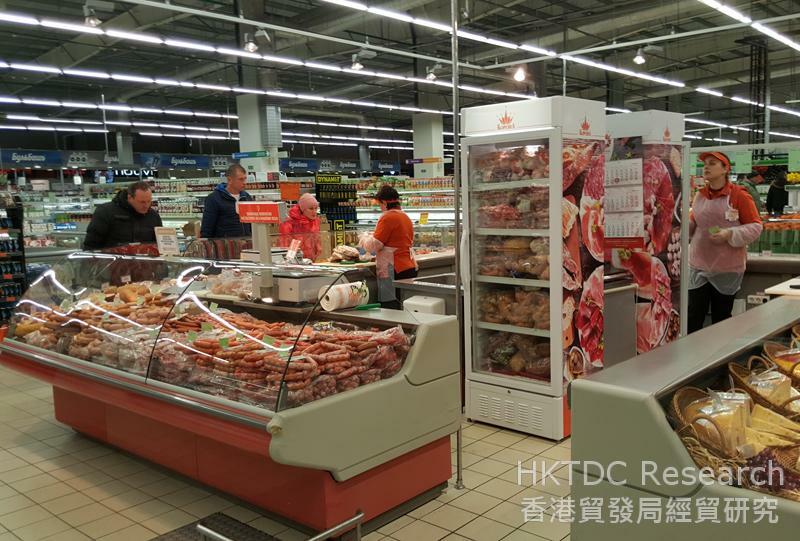 Hong Kong, as a free port, can act as a test bed to promote and distribute Belarusian agricultural and dairy products in other key Asian markets. Some of the first movers include the seven Belarusian companies, which debuted some of the country’s traditional delicacies and drinks such as confectionary, pastry, natural juices and 68% vodka at the Hong Kong Food Expo 2017. 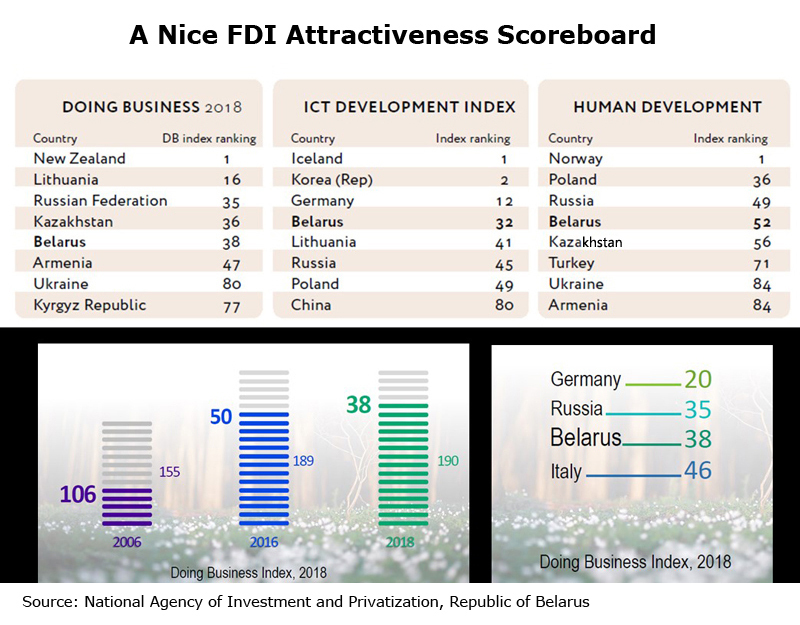 European countries, such as Russia, and several EU member states like Austria, the Netherlands, Germany and the UK, dominated Belarus’s FDI scene as they did on the trade front, contributing nearly 75% of the country’s FDI as of 1 January 2017. But China, despite its small share of only 1.2% (i.e. US$231.8mn) of the total, was already the largest Asian investor in Belarus, while Hong Kong came fourth behind South Korea and Singapore, with a FDI position of US$3.8mn. While China is currently far from being able to challenge the position of Russia and the EU in terms of trade with and investment in Belarus, there is clearly room for expansion. This fits in with China’s BRI vision and the Belarusian government’s desire for public-private partnerships (PPPs) as a means of implementing several forthcoming infrastructure projects. Prospective projects include the M-10 Highway Reconstruction, the country’s pilot PPP project, which involves a two-year construction period and an 18-year operational period. It is being built in collaboration with European Bank for Reconstruction and Development (EBRD). 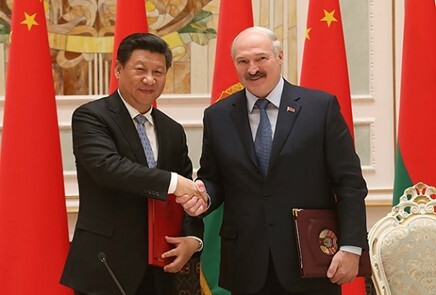 Also of interest to Chinese and Asian investors are the development plans for Belarus’s secondary towns and rural areas, including 100 settlements with fewer than 60,000 inhabitants. In that regard, China has already had a hand in two state housing projects. The feasibility study for the project is under preparation as part of the agreement between the Republic of Belarus represented by the Ministry of Transport and Communications and the EBRD. Negotiations are underway to attract the International Finance Corporation to finance the preparation of the project. With the financial support of the EU, a selected consortium of consultants is developing a feasibility study for the project. Sources for preparation and subsequent implementation of the project are being searched. 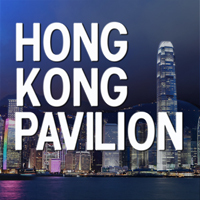 In terms of securing investment for large-scale infrastructure projects, Hong Kong’s status as an international financial centre makes it ideally equipped to broker Belarusian PPP projects and act as a useful partner when it comes to matchmaking Asian investors with substantial Belarusian infrastructure initiatives, especially after the great success of the Great Stone Industrial Park led by the Hong Kong-based CMG. Details of the EAEU’s Unified Customs Tariffs (UCT or CU) applicable on the goods imported from third countries can be found on the website of Eurasian Economic Commission. Belarus is the 160th country or territory having granted visa-free access or visa-on-arrival to HKSAR passport holders. The seven Belarusian companies are Krasny Pischevik, Spartak, Slodych and Kommunarka confectioneries, Minsk Kristall distillery, Brest Belaclo distillery and Krinitsa Brewery.